HAVANA.- In front of a group organized by the community Project “Women with a Purpose”, Alina Saborit, a dressmaker and entrepreneur, tells her story. It’s a story that began 49 years ago in the fields of the province of Granma, on the Eastern edge of Cuba. At 15 years old, her parents arranged for her to be married to a man who she neither knew nor liked. During her traumatic wedding night, he tied her down with a belt and raped her. Their union terminated when her family intervened, when they saw that she had nearly been strangled to death after her husband mercilessly choked her. Among the other relationships she had later, after moving to Havana, two more were violent. She was able to escape thanks to the help of her religious community and a few improbable lucky breaks she caught in the midst of the turmoil. “I saw what happened to me as normal. I thought that all women had to live through situations like that,” she says. Testimonies like Saborit’s show the persistence in Cuba of the most extreme forms of abuses to women and girls, often hidden by the fact that homicide statistics are not public, and up until now, there has been no national-level effort to collect data on the issue. But activist groups are developing a powerful new weapon in the fight for women’s rights: growing awareness of the preponderance of abuse throughout the country. And as a result, new programs are springing up to combat this country-wide problem. The lack of statistics constitutes one of the biggest limitations in analyzing and confronting violence against women. Cuba is a country where a patriarchal culture remains firmly in place despite great advances in women’s equality, such as salaries equal to those received by men, widespread incorporation of women into schools and offices alongside their male counterparts, and universal free access to safe abortions. The only reports available have been published by the 175 Women’s and Family Orientation Houses (Spanish initials: COMF), managed by the non-governmental organization Federation of Cuban Women (Spanish: FMC). Active in every municipality in the country, the COMFs work to prevent domestic violence and provide assistance in cases of domestic violence. According to Cuba’s report for the 20th anniversary of the International Conference on Women in Beijing, these houses have calculated that, between 2006 and 2009, 88 percent of victims who have requested assistance were women. In half of the cases, the aggressors were their romantic partners, committing mainly psychological abuse that took place mainly within the home, the study revealed. The report, issued in 2014, indicated that in 2013, 566,738 people, “of which some had been identified as presumed victims of violence,” used the services of the COMFs. The Women’s Professorship of the University of Havana, working descriptively and using small samples, has promoted studies that reveal physical, sexual, psychological, or economic violence occurring in all parts of Cuban society for more than 20 years. In recent years, the problem has come to light, exposing some of Cuba’s most vulnerable communities. As a result, communities are beginning to work for change through grassroots efforts. “This was when I began to open my eyes, to the point where I saw myself as a woman who was the victim of violent abuse,” Saborit says, regarding the Comprehensive Neighborhood Transformation Workshop (Spanish: TTIB), located in the Libertad community, in Havana’s Marianao municipality, where she began working in 2004. Created in 1988, the TTIBs are examples of social work in the neglected neighborhoods of the country’s capital. The TTIBs are managed under the administration of the municipal government. In the workshop, “I began by taking classes on violence against women, communication, business management, and social economy,” says Saborit, who now coordinates “Women with a Purpose” to support victims in raising their self esteem and finding their own sources of income. The group helps to identify types of abuse and creates support networks. It shows how participants, using sewing and other crafts, can find their own financial support and also take advantage of the various opportunities available in the private sector and in groups known as non-agricultural cooperatives, within the reforming Cuban economy. “The issue of violence against women has attracted more attention in the past few years than during the entire revolution” (which brought in the new government in 1959), says Alicia Valle, a 66-year-old retired woman. Valle, a resident of the Havana neighborhood of Atarés, states that, “the situation is grave” in areas like hers, where authorities identify people associated with prostitution and pimping. “Violence isn’t just physical, it’s also psychological, and a problem of education: we teach our children from the start that men should go out on the streets and women should stay at home,” says the former secretary. The resurgence of this issue in the public sphere is due to actions by the Civil Society, an actor with a substantial presence since the 1990s in the state-run system of the country’s socialist government. According to the broadest definitions, the Cuban civil society is made up of fraternal, cultural, and athletic associations, mass social associations, churches and religious congregations, non-governmental development organizations, research centers and academic publications; community movements; cooperatives, new economic actors and dissident groups. Among the most visible groups in the fight for a culture of peaceful treatment toward women are the FMC and the ecumenical groups Center for Reflection and Solidarity “Oscar Arnulfo Romero” (OAR), Center for Reflection and Dialogue-Cuba, Dr. Martin Luther King Jr. Memorial Center and the B.G. Labastida Christian Center of Service and Training. Additionally, the Cuban National Union of Jurists and the state run group National Center for Sexual Education figure prominently in the fight. Since 2007, OAR has coordinated the National Day of Nonviolence Against Women together with other organizations from the Civil Society and state and government run groups. The activities happened in 10 of the country’s 15 provinces in its 2014 edition, which, like earlier editions, coincides with 16 days of worldwide activism from November 25 until December 10, Human Rights Day. “The first thing we did was to launch the national citizens’ campaign for men and women to come together to promote greater sensitivity, which is essential for recognizing violence in the country and making sure it is seen as unnatural,” says Zulema Hidalgo, the coordinator of the Violence and Gender program at OAR. As it progressed over time, the center advanced in the areas of training, connecting actors, and addressing the sensitive issue of attention for victims. The center’s main area of influence is limited to communities. “This can’t be seen as just a community problem. It needs to be approached at the municipal, provincial, and national levels, and receive support from other institutions,” says Hidalgo. According to her judgment, the country has a “system” of prevention and assistance for women “that is disconnected”. Cuba’s latest evaluation by the Convention on the Elimination of All Forms of Discrimination against Women, conducted in July 2013, voiced concern over persistent violence against women, inadequate reporting of cases and the lack of specific legislation, information, studies, statistical data as well as support centers for victims. Among its recommendations, it cited greater sensitization of the population via communication media and education programs. In an article from April 2014, the Cuba Permanent Mission to the United Nations office in Geneva affirmed on behalf of the government that there is no under-registration of violence, that the prevalent form of violence is psychological, and that effective protection is given for victims through a wide array of different judicial norms in effect. Efforts to reach a wider audience continue. “We’ve spread the message about the role of the arts in the struggle for a culture of peace towards women,” explains Rochy Ameneiro, a singer and leader of the Project Tod@as Contracorriente (“Men and Women Against the Current”). “Even though we’ve been strengthening work aimed at youth, we hope to be reaching a wide range of social sectors,” she says. 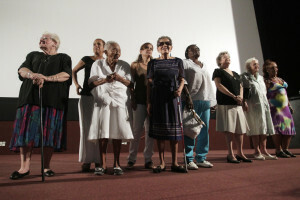 Ameneiro’s initiative, which began in 2011, focusing on prevention, does tours through schools and neighborhoods, holding concerts, workshops, and tributes to historical figures in Cuban feminism. It also spreads these ideas using video clips, documentaries, and social networks online as well as using media outlets- almost all of which is state-owned. “It’s very gratifying to see how young people are surprised to discover that there are so many forms of abuse that can be used against them. And at the workshops, they reflect, bring up ideas, use tools, and share their experiences,” Ameneiro adds. Where can women in Cuba go for support? If you need orientation and help, you can find these services at: the offices of FMC, Women’s and Family Orientation Houses, Municipal Commissions for sexual education, Sexual Orientation and Therapy Services, Family Doctors or Health Areas, Mental Health Community Centers, Citizens’ Rights Attention Offices of the Municipal Prosecutors’ and the National Revolutionary Police.